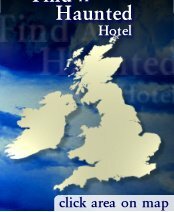 Details on your selected hotel. Hazlewood Castle, a former monastery and retreat has been thoughtfully and tastefully designed to offer a distinctly different lifestyle experience. Hazlewood combines the elegance of the Castle with the excellence of the food and service offered to all our guests. Whether visiting Hazlewood for the first time with friends or as a delegate at one of our major conferences you will always be greeted with a warm welcome. We have twenty-one bedrooms and suites at Hazlewood. Nine of them are situated in the main castle and twelve are in our annex area "St Margarets" which is located in our picturesque Courtyard. All bedrooms are beautifully decorated to the highest standards, with great care taken to enhance their natural beauty. All bedrooms are individual and vary in shape and sizes, designed to provide a relaxing haven full of knickknacks (and little rubber ducks! ).Set in seventy-seven acres of tranquil parkland, Hazlewood Castle is steeped in a history of fortified knights dating back before 1086. With its own Chapel, the former monastery and retreat offers tastefully individual rooms designed to enhance their own beauty, a relaxing haven yet only 20 minutes from the cities of Leeds & York. With four classical conference & private dining rooms, with the added contrast of the contemporary Garden Room and extensive teambuilding, Hazlewood Castle is the perfect backdrop for business and celebrations. Launching the stunning new Restaurant Anise, Mediterranean cuisine served in intimate surrounds, the Castle is also home to The MasterClass by Chef Patron, John Benson-Smith. All rates are per Room per Night and Inclusive of Full Yorkshire Breakfast & VAT. These rates and room types are effective from January 1st 2006.